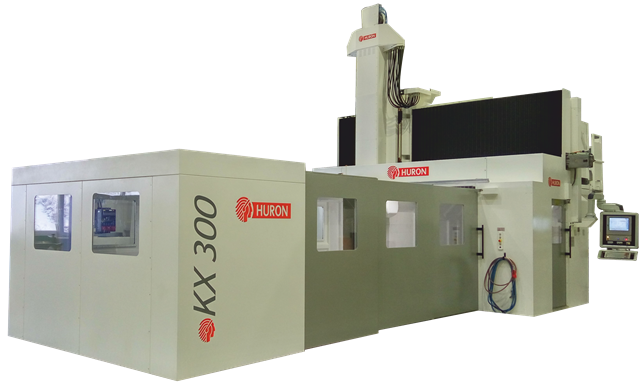 KX 300 - HURON GRAFFENSTADEN | cnc machine, cnc lathe, cnc turning center, cnc milling machine, cnc machining center, cnc vertical machining center, cnc, vmc, hmc. 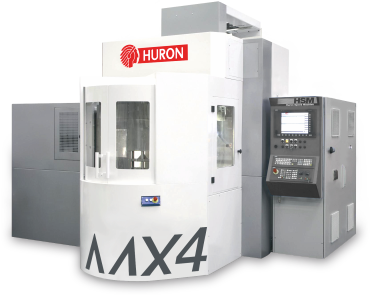 High performance double column machining centres for machining of complex parts. 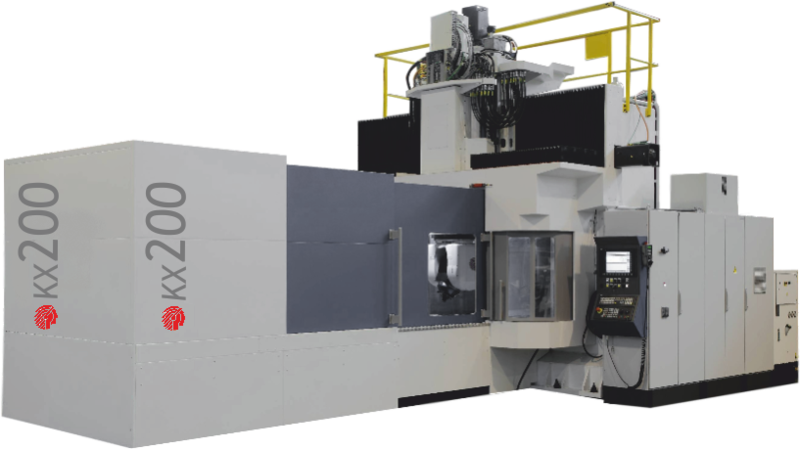 The KX Large Series offers a wide selection of machines for continuous five-axis/five-side machining of complex parts. The fixed-portal architecture and machine design ensure maximum rigidity for extremely precise machining in a variety of difficult materials. Its large work area, capable of supporting up to 20 tonnes in weight and accomodating processable volumes up to 4.080 x 2.180 x 1.550 mm, is suited to machining large parts for general mechanical and precision engineering, 3D shapes, and the aeronautical and energy sectors. Customer reguirements are comfortably met by the modularity of design, the choice of variants, and equipment.